recognised around the world for its signature floral prints and vintage-chic aesthetic, Cath Kidston is a quintessentially British brand that opened its first store in London in 1993. 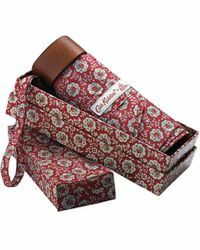 Inspired by the simpler interior design trends introduced in the early nineties and her love of vintage china patterns, eponymous designer Kidston launched the now all-encompassing lifestyle label as a small boutique selling bags, make-up cases and home decorations. 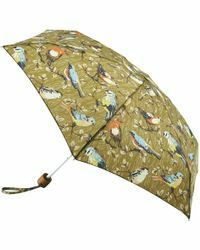 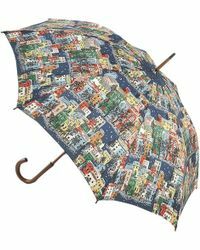 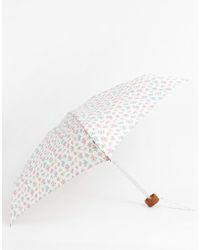 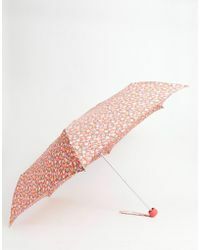 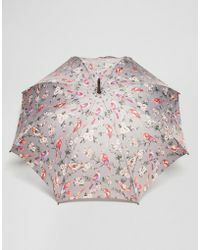 Featuring cute prints and vibrant colours, Cath Kidston umbrellas are sure to brighten up your outlook on rainy days. Stay dry in style with these eye-catching wet weather accessories.